The Auburn Bike Park is led by a dedicated group of volunteers working in partnership with ARD, FATRAC, and local businesses. The Auburn Alehouse Brewery and Restaurant is located in the historic American Block Building at 289 Washington Street in Old Town Auburn, California. You may remember the building as the former home of the Shanghai Restaurant and bar, where scenes from the movie, Phenomenon were filmed. Find out more on their website www.AuburnAlehouse.com, or better yet, ride by for a beer! Special thanks to the Auburn Alehouse for their continued support. Their generous donations have been pivotal in our fundraising efforts. 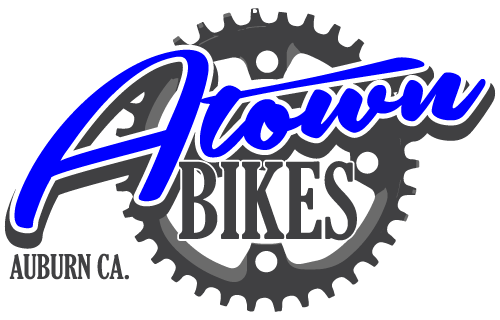 Thank you Auburn Alehouse – from bike and beer lovers everywhere ;-). Thanks to GROW for their ongoing support. Located in Old Town Auburn, GROW is a team of thinkers and doers that bring together design, technology, and communications. GROW helps brands identify opportunities and develop platforms that enable them to facilitate business, express themselves, and connect with their audiences. Great shops for all cycling needs!